Don't worry: Jim Gordon will grow a mustache again. Speaking during Fox’s TCA panel for the outgoing drama, the cast joined producer John Stephens and director Danny Cannon to prepare the audience for an ending spring-loaded with expectations. “Gotham” was conceived as a peculiar prequel: a Batman show before Batman shows up. Bruno Heller’s story focused on the formation of Gotham City as a corrupt urban metropolis in need of a hero to clean up the streets, working up to the moment when a young Bruce Wayne dons the cape and cowl. With the ending of “Gotham” this spring, it will provide answers for long-held assumptions about some characters. For instance, Bruce Wayne will become Batman, but actor David Mazouz only kind-of wears the actual suit. Stephens went on to promise fans will see Mazouz’s face behind the cowl and hear his take on the “Batman growl.” As for Batman’s nemesis, the producers still wouldn’t admit Cameron Monaghan is, in fact, the Joker. “If he’s not the Joker, then he’s someone who does provide the origin story for someone you’re going to see later,” Stephens said. So far, Monaghan has only gone by the character names of Jerome and Jeremiah Valeska. Fans have long expected them to be the younger versions of The Joker. “Cameron may not be the Joker, but he’s my favorite Joker of all-time,” co-star Donal Logue said. Camren Bicondova said fans will see a future version of Catwoman in the finale, but didn’t promise anything more than that. The actors also somewhat squashed rumors about seeing “Gotham” characters in other DC shows. The cast said no one had inquired about hiring them to resurrect their characters for other shows within the DC Universe, like “Titans,” “Doom Patrol,” or any of the series on The CW. McKenzie — who’s directed and written episodes of the series, including the upcoming finale — said they went into the final season with a now-or-never approach. “If we don’t do them now, we’ll never get to do them, so we better do them,” McKenzie said of their favorite ideas. But overall, Smith felt the series wildly exceeded his expectations — a thought echoed by the rest of the cast. 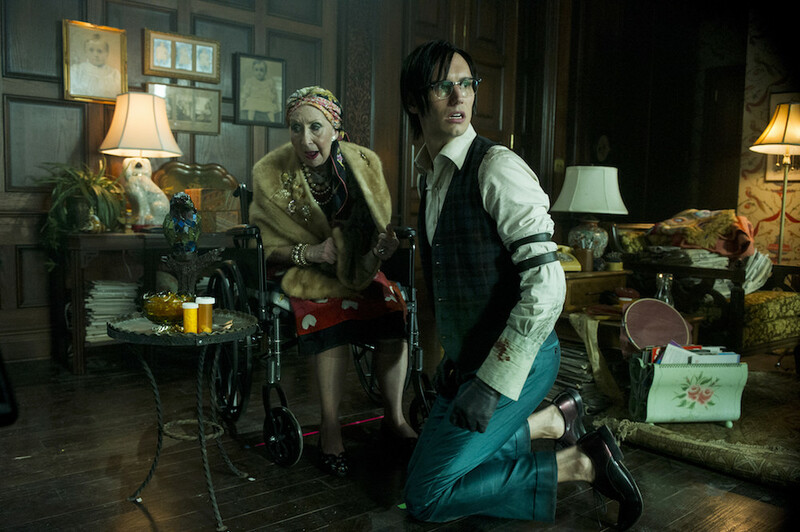 “Gotham” airs new episodes Thursdays at 8 p.m. ET on Fox.